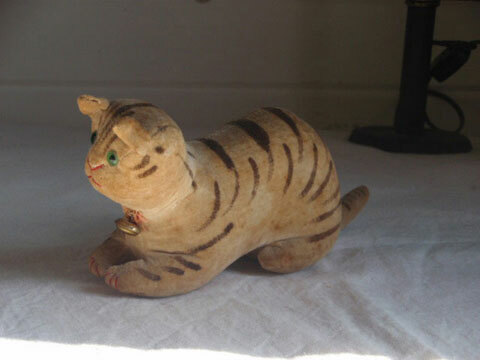 Charming and quite sweet, this 19th C Velvet Stuffed Cat was recently acquired out of a friend’s private collection. 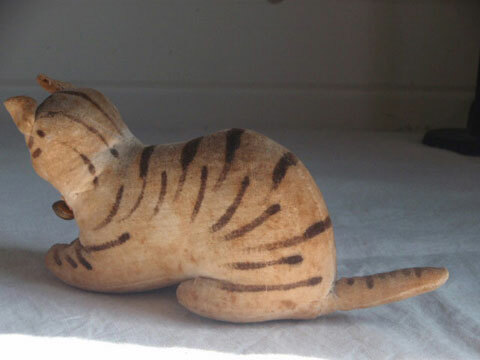 Measuring 3 inches tall, 2 inches broad and 7 inches from tip of nose to tail, she is in excellent condition with no holes, rips or tears. 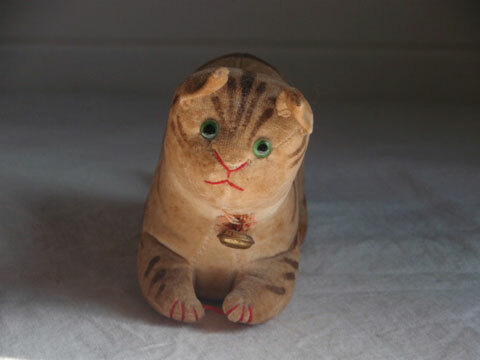 Firmly stuffed with cotton batting and straw, she still retains her original eyes, cotton floss nose and mouth as well as her original brass bell. Her satin ribbon has long detiororated. 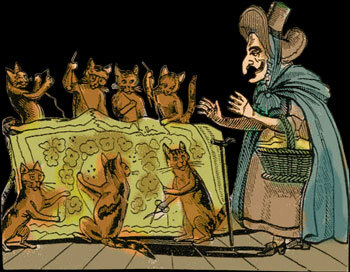 She is probably German in origin as many of these wonderful toys were made abroad during the late 19th C.
While her face is full of wit and whimsy, her tummy is full of fun and fancy as she is a rattle. What a special present she must have been for a sweet child. 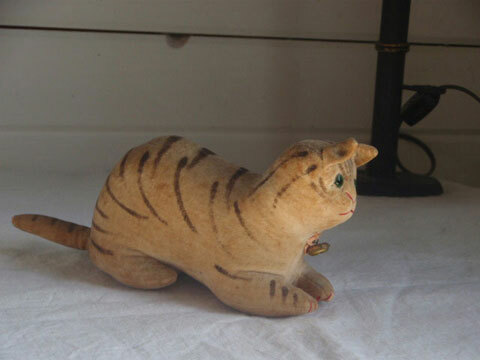 These velvet cat rattles are especially hard to find and she would make a great to any gathered collection of such toys.